Weatherproof PoE Injector and network connector (-30 to +60 °C / -22 to +140 °F; IP65). IEEE 802.3af Network Power Adapter (NPA) for power supply by external power supply units and batteries from 12 to 57 V DC. Weatherproof power supply, e.g. 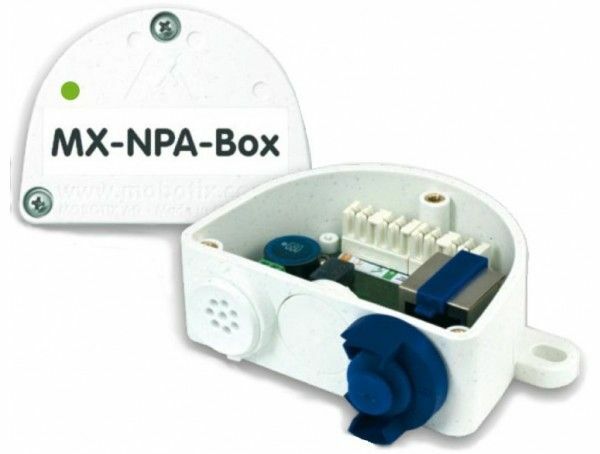 for an IP camera Complete set including assembly parts Important: Currently you can only use original MOBOTIX patch cables.